“Something as simple as fun, is the easiest way to change people’s behaviour for the better” The Fun Theory. It proves that something as simple as fun can change the behaviour of people for the better. We believe this same philosophy can be applied to public speaking for kids and adults. In 2005, we surveyed a group of 47 parents and 62 children. 100% of the parents stated that they thought that public speaking classes would be valuable for their child, but only 27% of children wanted to do public speaking classes. After asking the children why they didn’t want to do public speaking it became clear. Kids thought public speaking was too boring and too scary. 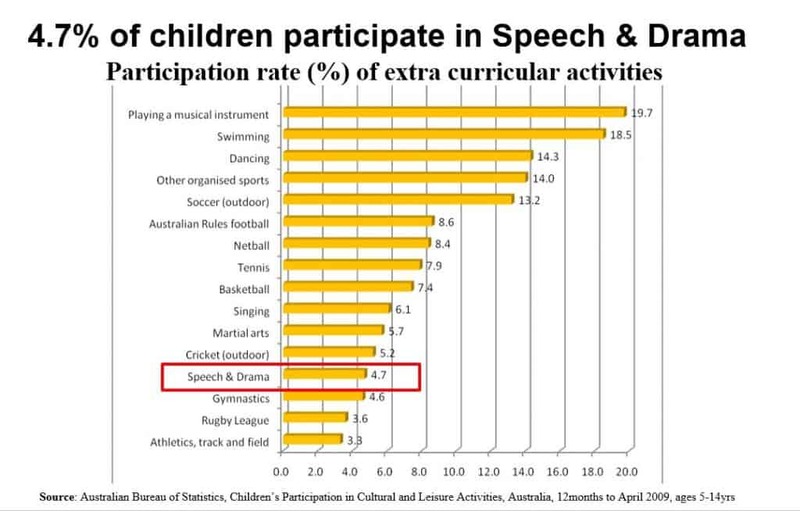 Is it any wonder why only 4.7% of children participate in speech and drama classes outside of school hours? Making people choose to take the stairs instead of the escalator, is just like asking a child to do public speaking classes instead of playing a musical instrument, swimming lessons, dancing, soccer, singing or tennis. The benefits of public speaking classes are clear, but most children choose other options. That is why in 2006, we set out to build our version of the piano stairs for public speaking. We called it Super Speak. Super Speak’s goal is simple: to help more children choose to learn public speaking, rather than avoiding it. We do this with our unique program that injects heaps of fun! Our belief, is that when it comes to public speaking, something as simple fun will make more kids want to do it. This will help increase participation rates & learning outcomes so that more children will learn these practical skills for life. Super Fun, Super Skills, Super Speak!